By Paul Stewart Cranfor (Paul Stewart Cranfor) - This book celebrates the vibrant musical culture of Cape Breton Island. It gives a refreshing glimpse into a rooted, community-based, living tradition. Fiddle tunes from more than seventy-five contemporary composers are presented together with Scottish and Cape Breton music from earlier centuries. 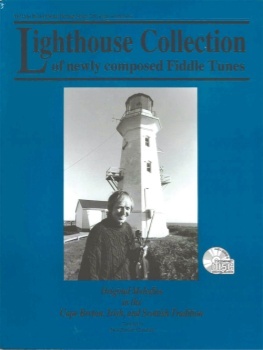 Compiled as a part of Cranford Publications Cape Breton Musical Heritage Series, this collection is presented to give recognition to The Cape Breton Fiddlers Association.